Margaret Dabbs, a fully trained Podiatrist who set up a series of Foot Clinics starting in 1998 and pioneered the now highly renowed “Medical Pedicure”, is truly passionate about feet. Feeling let down by products that were either treatment remedies or beauty products which were ineffectual as a treatment, or were just simply unpleasant to use, Margaret set about sourcing raw ingredients from around the world and worked within her consulting rooms to create a range of foot products to use within her clinics. These products were both effective on a treatment level and gorgeous to use. Since then, Margaret’s prestigiously located clinics have gone from strength to strength and the medical pedicure has gained cult status globally. 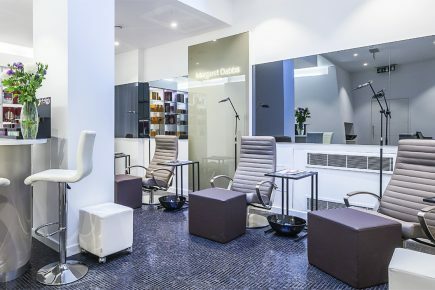 Having introduced highly trained nail technicians, and by combining health and beauty, Margaret’s team of technicians work to perform manicures and pedicures which have been adapted as industry standard, using luxurious, innovative and effective products.